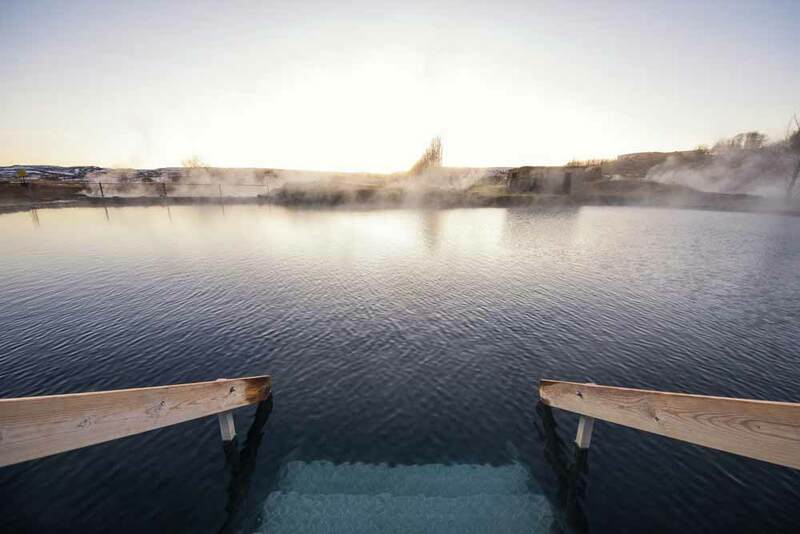 Soak in a natural pool and explore three of the most popular attractions in Iceland. 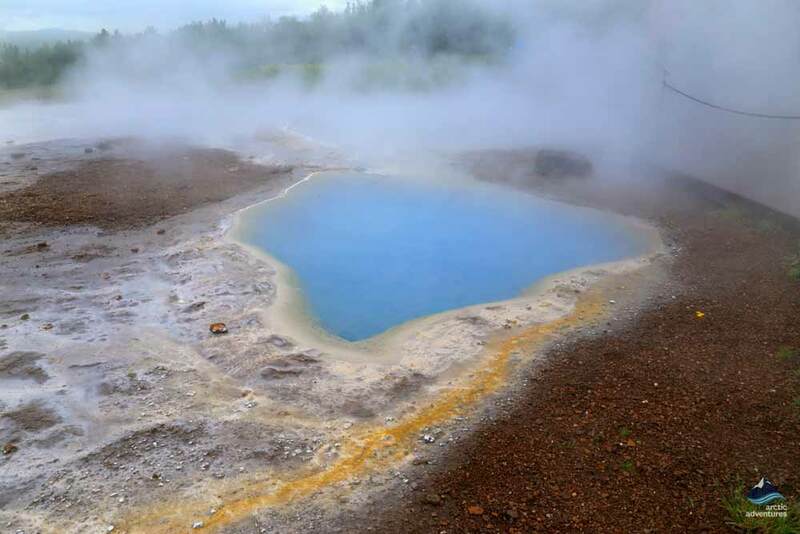 The Golden Circle & Secret Lagoon Iceland offer a great value day tour in a small group setting. 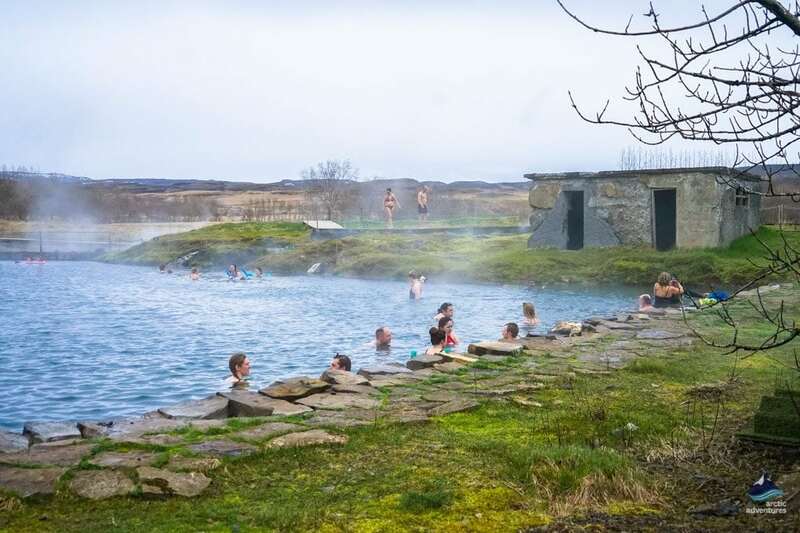 The tour will take you to all three attractions of the popular Golden Circle Tour, sightseeing directly from Reykjavik, with an added visit to the unique Secret Lagoon. 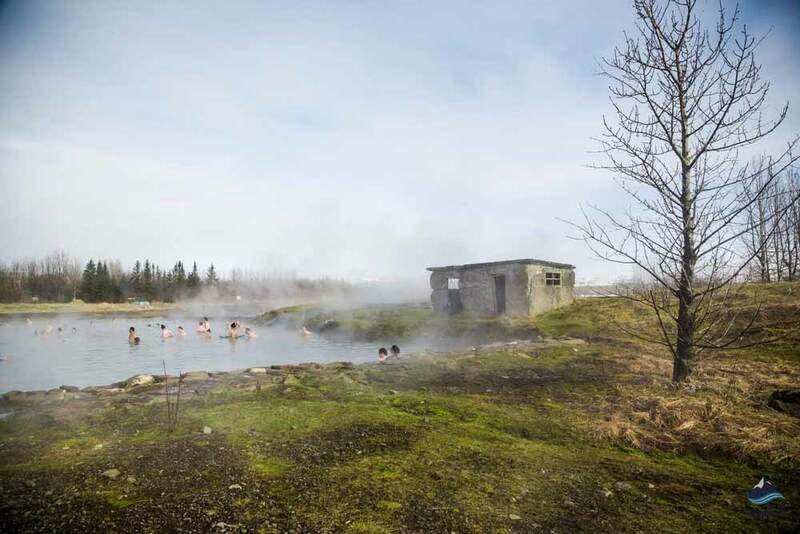 It is a perfect Icelandic experience giving you a chance to visit waterfalls, geysers, historic sights and soak in a natural hot spring. There is a good reason this tour is getting to be one of our most popular tours. 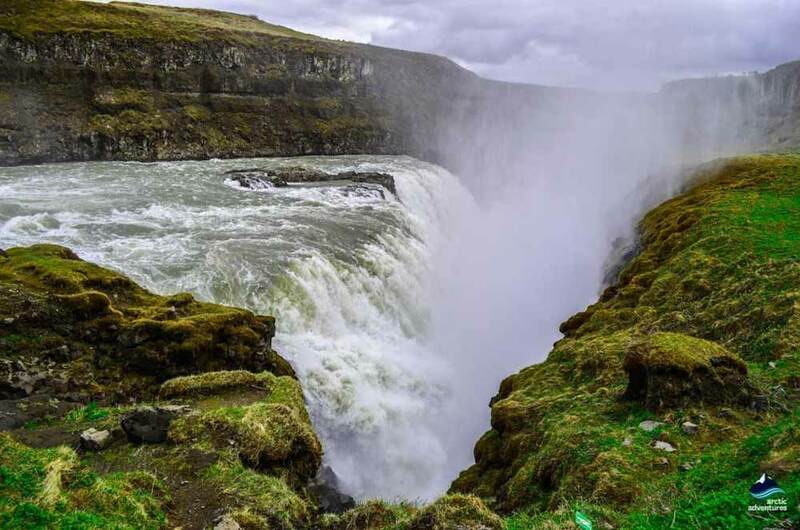 Come explore the famous sites of Thingvellir National Park, Gullfoss waterfall and Geysir hot spring area with a great Icelandic twist and a secret stop, all in a days trip! Suitable for most people in fair condition. Our service desk is open every day From 8:00 am – 09:00 pm GTM. You are always welcome to send us an email using our contact form. Our friendly customer service will assist you every day during business hours. 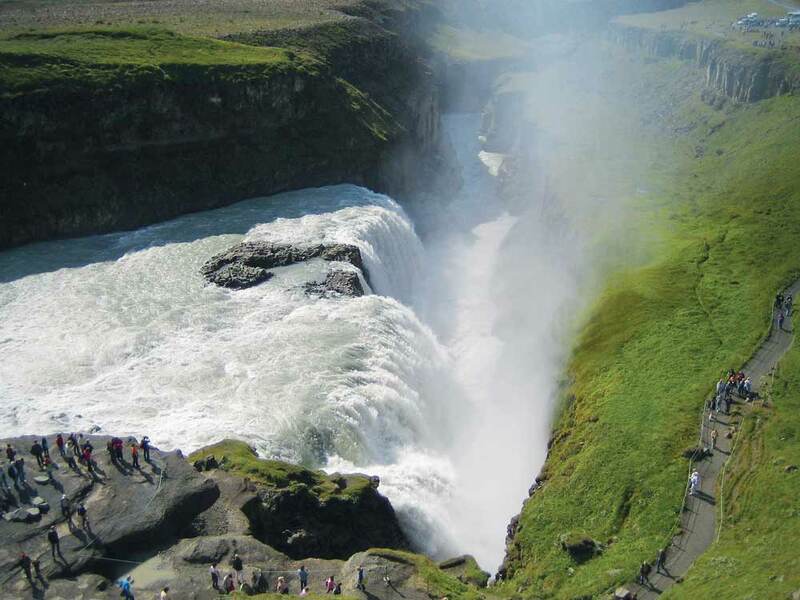 Gullfoss, the golden waterfall is one of the three sights of the Golden Circle route. This great waterfall attracts thousands of visitors every year and for a good reason – According to the World of Waterfalls, it is one of the top ten best waterfalls in the world. 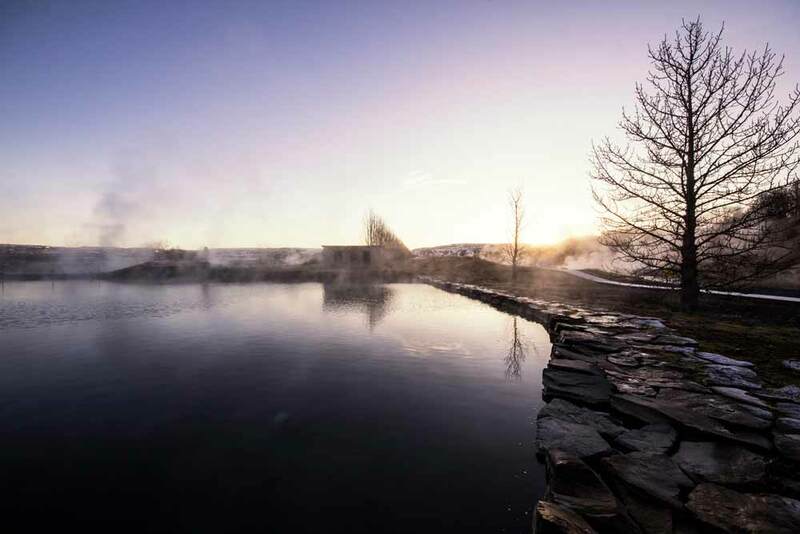 Here you will have the opportunity to walk among the bubbling hot springs that surround the great Geysir, but make sure to stay within the restricted area for your own safety. 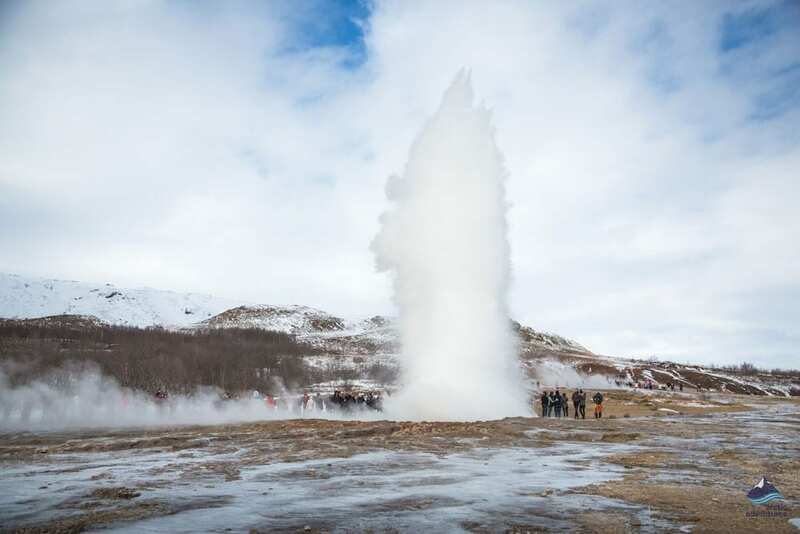 Strokkur geyser is a site that you should definitely not miss before heading to your next stop, spouting water sometimes up to 40m high! Thingvellir National Park a UNESCO world heritage site. Here the Icelandic history and great geological wonders come together, making the place one of Iceland‘s most interesting sites. 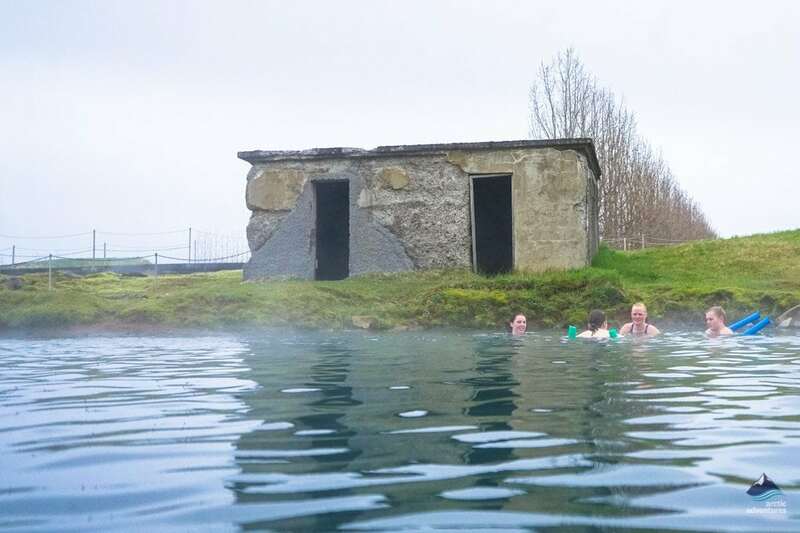 The oldest swimming pool in Iceland, a natural hot pool, suitable for bathing in all times of the year. The locals call this the “Secret lagoon” because it was known only to them for a long time. Now you have a chance to bathe in the hot water of this outstanding pool with its magical surroundings, that will surely offer great photo opportunities for you. 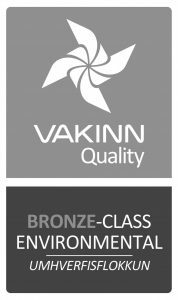 Pick-up: Pick up starts at 09:00 am from your accommodation or a nearby authorized meeting point in Reykjavik. Picking everyone up can take up to 30 minutes, your patience is much appreciated. Available pick-up points: Arctic Adventures’s pick-up list. Remember to bring: Warm and waterproof outdoor clothing, headwear, gloves, and sturdy shoes. Bathing suit & towel are also essential. Packed lunch (we will also stop at a diner/restaurant). What if I don’t own all of these necessaries? Don’t worry, you can always rent the necessary items in the booking process. Meals are not included on this tour. We will stop at a diner/restaurant on our way, but you can also bring along some packed lunch. 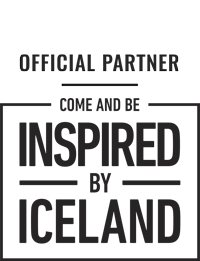 Due to limited availability during the holidays we have added the option to book the same tour with our trusted partner. Please note that the pickup time for our partner tour starts at 10:00 AM. 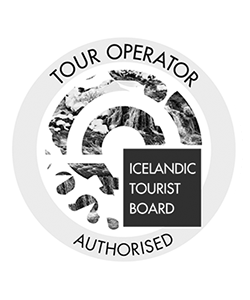 Do you offer a tour that is solely the Golden Circle? 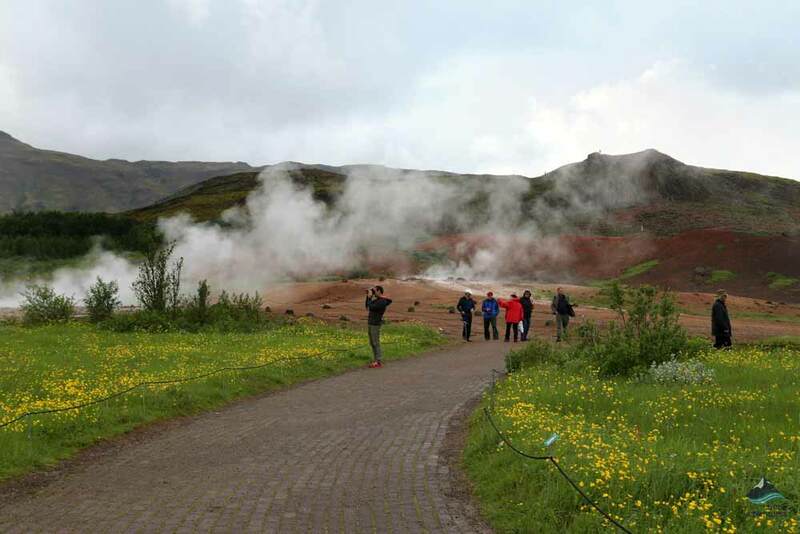 Yes, we offer the tour Golden Circle small group tour which is basically the Golden Circle with some extra stops. 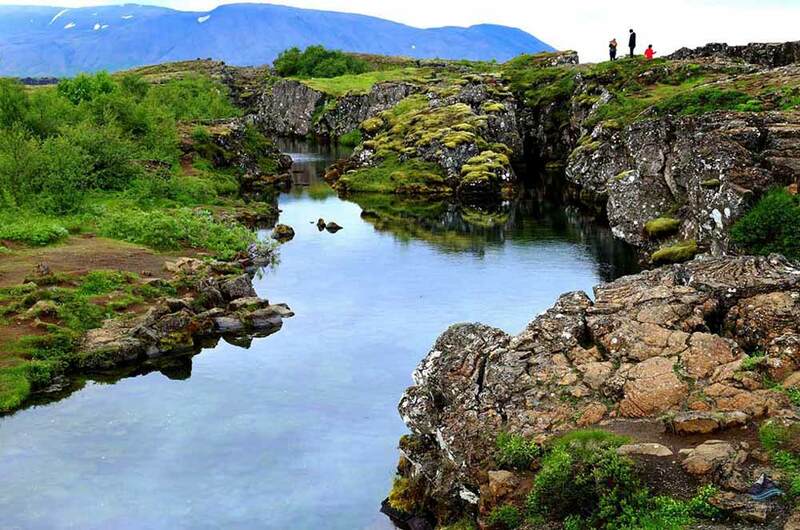 This tour is focusing on sightseeing and the history of Iceland. 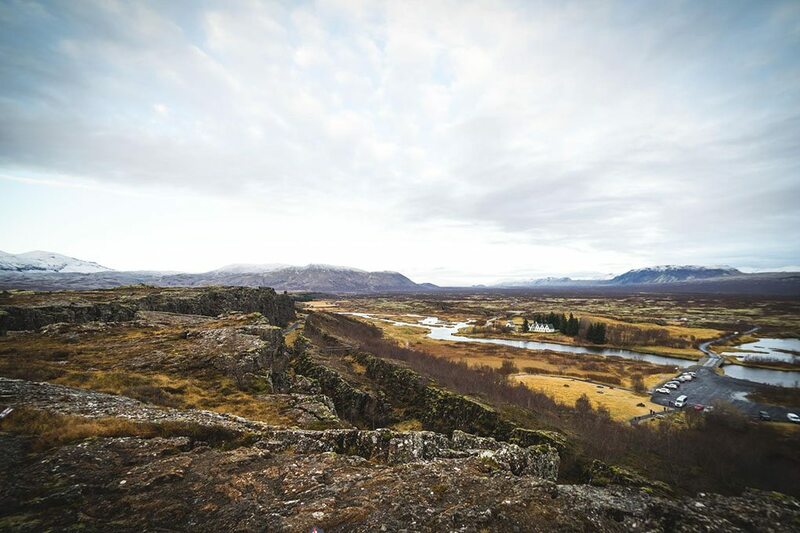 Our stops are Gullfoss waterfall, Þingvellir national park (home to one of the first parliaments of the world), Geysir hot spring area and the historic Skálholt cathedral. View Golden Circle Tours. I want to book the Golden Circle in combination to another tour, what are my options? We offer numerous options to spice up your Golden Circle tour and to make the most of your day. Here is a list of all of some great tours. What sights will I see on the Golden Circle? 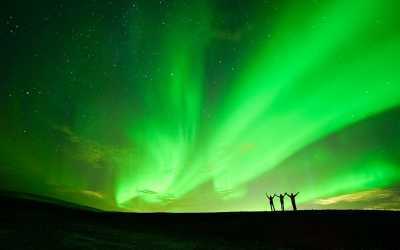 The tour is based around the three most popular attractions in Iceland Thingvellir National Park, Gullfoss Waterfall and The Great Geysir. We offer several Golden Circle trips that combine sightseeing with some of our adventure tours. How is the weather/climate in Iceland? There is a saying in Iceland, if you don’t like the weather just wait 5 minutes. This might sound like a joke but it is strangely true! Thanks to the beloved Gulf Stream, our country enjoys a cool, temperate maritime climate, this means refreshing summers and fairly mild winters. So basically, Iceland maintains a surprisingly moderate temperature all year around. For further information about the weather in Iceland and how to dress for it. If your tour includes a glacier activity it’s very important to dress appropriately. Dress in 3 or 4 upper layers such as a light t-shirt (preferably wool) next to the skin, then a fleece or heavy wool garment, topped off with a waterproof windbreaker. Jeans are not recommended for our trips as they become very heavy, cold and uncomfortable to wear when they get wet. Lightweight hiking pants, track pants or long cotton pants are best and then wind/waterproof pants over. We also recommend using sunglasses and sunscreen even if it is cloudy due to the high UV and sunlight reflection from the glacier. 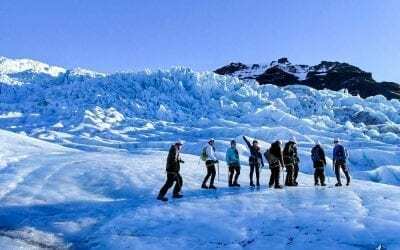 You will need sturdy hiking boots that fit crampons for the glacier hiking tours. How do I get to Reykjavik from Keflavík International Airport? The drive from KEF airport to Reykjavik takes around 45 minutes. If your flight is delayed, please call our customer service team to go over what options you may have. The cheapest and most convenient way of getting to and from Keflavik International Airport. The shuttle drops you off at the BSI Bus Terminal downtown or takes you all the way to your hotel or the closest drop off location. If you’re arriving on the same day as your tour departures we highly recommend to pick BSI Bus terminal as your pick up location. 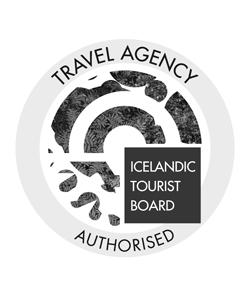 Book your airport transfer in Iceland. The quickest way to get to Reykjavik city is by a taxi. The taxis can drop you off at any of our pick-up locations. Taking a taxi is always more expensive than the airport shuttle. For further information about getting to and from Keflavík International Airport. What is it like to drive in Iceland? Driving in Iceland can be tricky for two different reasons. The first being the weather conditions, especially in the winter months. The second reason is that if you’re not experienced in driving in conditions such as ice and snow then it could become dangerous. If you are choosing a self-drive tour or to meet on location then make sure you have checked the driving conditions to make sure it is safe. At road.is you can find all the latest updates about travelling around Iceland. You should still check in the summer months just to make sure there is no storms or other types of weather warnings. What is internet access like in Iceland? Iceland is a very high-tech country and we actually have one of the highest rates of Internet usage in the world. Many restaurants and cafés, especially in Reykjavik, have free Wi-Fi access, so if you have a laptop, a tablet or a smartphone you can get Internet access almost anywhere. All of our vehicles also have free Wi-Fi. What is tipping like in Iceland? Tipping is not a requirement in Iceland although it is permitted and is well received in most cases. 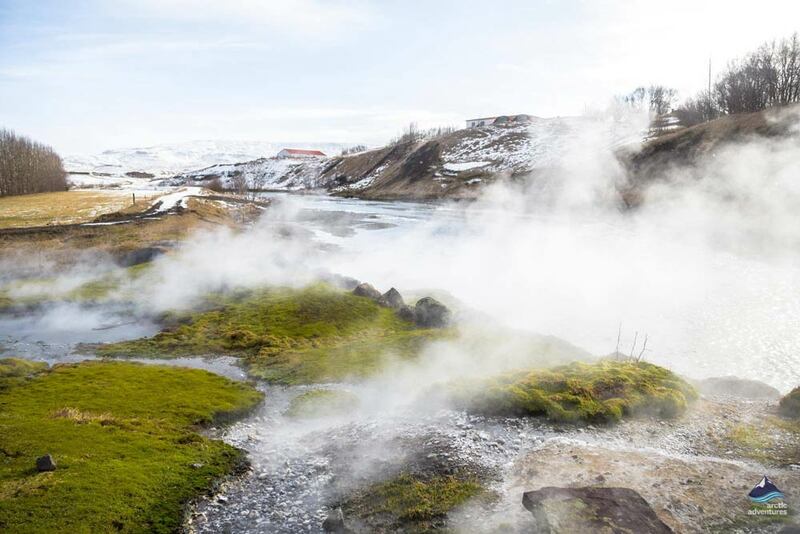 Should I bring mosquito repellent when traveling to Iceland? Here is the plus side to a cold country like Iceland. No dangerous insects survive here! Iceland has about three areas where some mosquitoes have now settled but nothing you will have to worry about on our tours. So, to sum it up, no you will not need any repellant! Are there any useful numbers and services to know in Iceland? If you are staying downtown Reykjavik please read this information about pickup. Please select the type of request, and then fill out the rest of the fields. Arctic Adventures offers pick up service from selected Reykjavík pick up points. You can press the login button in your confirmation email for an easy login to the customer portal. If you experience an error with logging into My Adventures or can't find your booking, please contact us on Facebook Messenger, or send us an email to: pickup@adventures.is. "Perfect May Day on the Golden Circle Tour"
We only had 3 full days in Reykjavik and we had to make the most of it by picking one of the many tour options. We really lucked out with perfect weather (by Iceland standards) but also lucked out even more with our guide for the day, Norris. He made the whole day interesting during the drives between sights with good stories and a great playlist. The highlight for all was the last stop of the day to the Secret Lagoon. The sun came out and we spent an hour basking in the thermal pond throwing back cold beers (except Norris of course). Perfect way to relax before the final drive back to town. Great tour, great driver / guide, fantastic experience, Secret Lagoon was amazing. Driver coped with everything the day threw at him and more including blizzard on way home, would highly recommend. 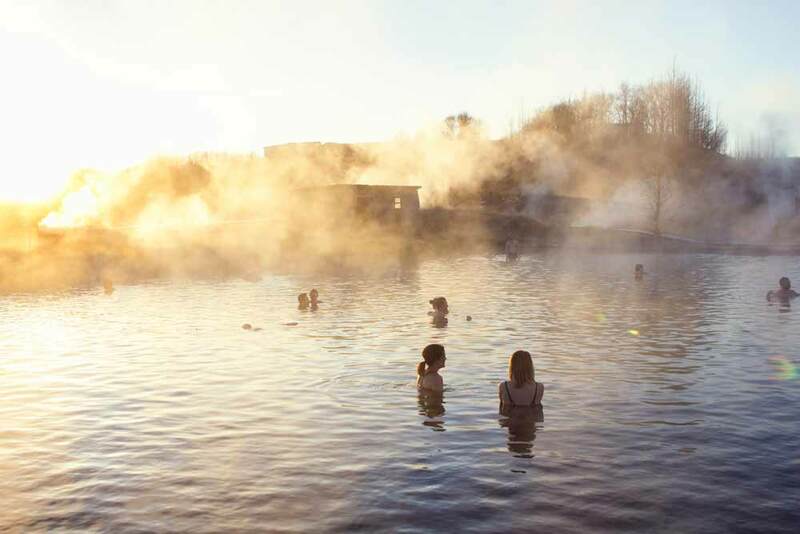 Explore breathtaking sights, soak in a natural hot spring and watch the Northern Lights dance in the Arctic Sky! 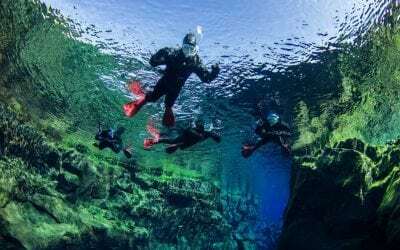 The Golden Circle is home to one of the most fascinating underwater sites in the world. Jump in and see for yourself! 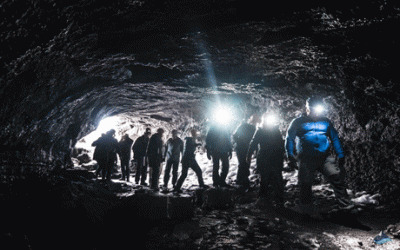 A Golden Circle and lava caving adventure combo not to be missed: The quintessential day out in south Iceland! This two-day tour gives you a perfect opportunity to travel through the magnificent variety of landscapes of the south coast of Iceland. 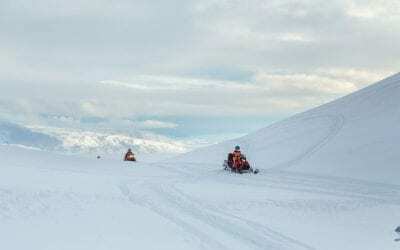 Enjoy a great snowmobiling tour on Europe's 2nd largest glacier. Pick-up offered from all major hotels in Reykjavik. Tour was great! Guide was friendly and shared a lot of information about the places we went to see. The highlight of the 3 days was our tour guide on the glacier hike, Maria was amazing and very knowledgeable. 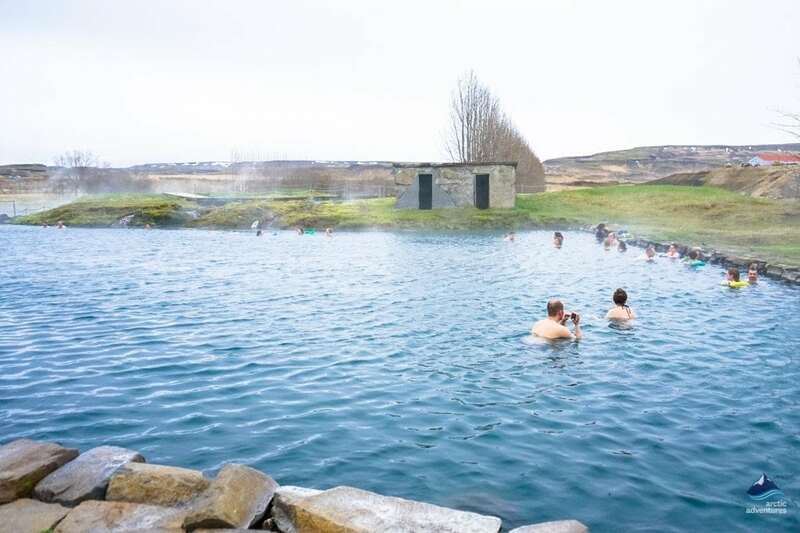 Then the opportunity to enjoy the geothermal pool was also a great time. Suggest to anyone thinking about this tour - DO IT FOR SURE!!!! This trip was fantastic. Despite the weather kata ensured we had a great day seeing the dlights of Iceland. She was friendly and informative, and great company for the day. We felt very safe with her driving and enjoyed the playlists in the van. The tour group was just the right size so we didnt waste time waiting for a large group to return to the bus after our stops. The stops were timed just right so we had enough time to view/see and comfot breaks too. The final stop at the Secret LAgoon was just fantastic and perhpas the highlight as it was so inexpected how lovely it was. Great trip and would highly recommend. Thank you! Oh yes, and the communications were great before the tour too, so we werent worried about being picked up etc. We have a great day with our tour guide Olaf. I liked that the group was very small (6 people on that day) and that generally we were free to explore the sites without it feeling like some kind of "classroom" trip. I liked also the Secret Lagoon at the end of this trip (with 2 hours giving us plenty of time there) which made for a much more enjoyable day than the "standard" tours out there. I also liked that Olaf the guide was very open to conversation and this gave us an opportunity to chat with someone local and learn more about Iceland this way. Would definitely recommend him as a guide and this tour to anyone interested. I looked for the best deal on the net before travelling to Iceland and wasn’t disappointed... this was a fantastic trip, the highlight of our stay and well worth the money. Our tour guide was superb, his knowledge of the area was excellent and kept all travellers informed of what was going on around them. Would definitely recommend this trip. Amazing day!!! Our tour guide was fantastic telling us about the sights we were seeing, with comic relief in between. Every stop was breathtaking and the Secert Lagoon was the icing on the cake. Don’t miss this tour it’s a must do tour!!!!!! I highly recommend this tour. If you only have a couple of days in Iceland, it is a great overview. If you have longer, it will give you some great ideas for future explorations. Very informative, and goes at a nice pace. The small group makes it a much nicer experience than large bus tours where you feel like you are being herded around. A great day and well worth it. Thanks!! This tour was amazing. In spite of bad weather we saw some beautiful spots of Iceland with clear explanation by tour guide Mika. It was great to soak in a warm water of Secret Lagoon after day travel and in a cold weather outside ! The tour was just wonderful. Easy for small children too. Lots of history and movie like sceneries. Research before as some of the guides are really great, willing to and tireless in sharing interesting information, history and legents, while some of them are exactly the opposite. For this trip we had not good guide. Fantastic day, fanstastic guide. My kids aged 13, 11 and 8 loved it. We had a fantastic time on our tour with George as our guide. He was informative and fun and the secret lagoon was a highlight for us. Thanks for having us. This combo day tour was perfect. Guide picked us up on time and had an amazing playlist going all day of Icelandic music. His driving and info was great. The Golden Circle was amazing to see and the Secret Lagoon was perfect after being out in the cold for most of the day. Highly recommend. Very enjoyable and informative day. The tour guide was helpful and interesting. Our guide Mica was great. He was lively and fun and informative and mixed well with the group. Good choice of music in the bus. The tour was fabulous, magnificent scenery in the snow. We were amazed by how busy everywhere was. It was a beautiful and full day....weather co-operated! Bjorn was a very pleasant and informative guide. One little snafu: a few of us did not understand her to say that the bus drop-off and pick-up sites at the National Park were different! That might be made a little clearer. The 3 main stops were gorgeous examples of the natural beauty of Iceland for those not able to explore the country side on their own. The Secret Lagoon was a perfect way to cap off the tour, tranquil and not too touristy! 5 stops during the day....all interesting and worthwhile. Helpful, pleasant and informative guide Bjork gave us a smattering of the history and natural history throughout the tour. 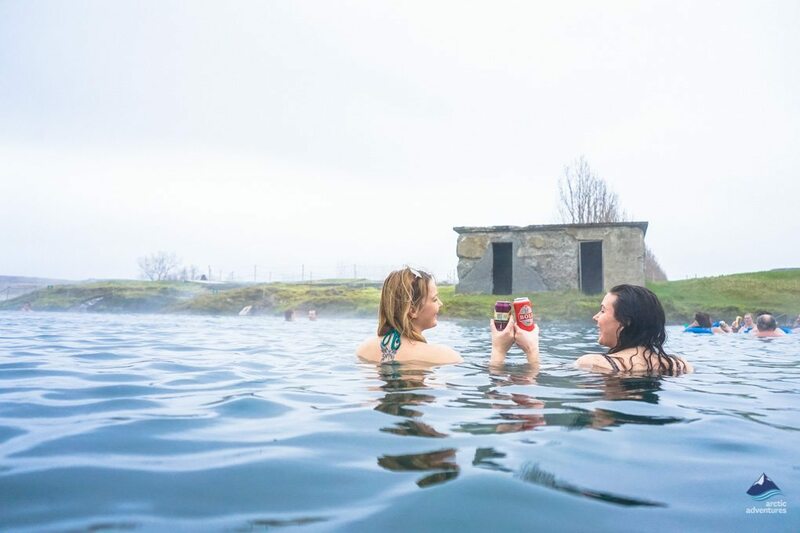 Time to appreciate each stop before moving on and finishing with a dip at the Secret Lagoon meant we were nicely chilled out for the final journey back to Reykjavik. Excellent tour guide who kept us well informed regarding places we visited & well entertained throughout our day. Clear expectations provided re timings for loo stops/ lunch etc. Nice group size. In addition our guide was also helpful in providing suggestions as to where we could find veggie food near to our hotel. Nb The secret lagoon is maybe not quite as secret as you’d expect.Though our guide did suggest this could be the case as we approached the location. It was nice though to bathe as the locals would do. Great tour if you are only stating for a short time and want to get a feel for the place. Thomas was a great guide and quickly established a rapport with us all. He had lots of little nuggets of information about Iceland although there were some problems with his microphone - it was easier to hear him without it! We were fortunate that the sun came out for the waterfall, it stayed dry for the national park and the hailstones subsided while we were in the Secret Lagoon which was definitely a highlight of the day. Our punctuality was rewared with an unscheduled stop to see some Icelandic horses! Thomas kindly took photographs of us overlooking the waterfall. We had a fabulous time on the Arctic Adventures Golden Circle Tour. While winter weather did close some of the hiking trails, we got great views and a good amount of time at each stop. The fissure was a fun novel stop, the geysers were both impressive and magical with steaming fields all around, and the waterfall was truly impressive (though Niagara Falls has a special place in the American heart, Gullfoss was prettier and had better views too!) 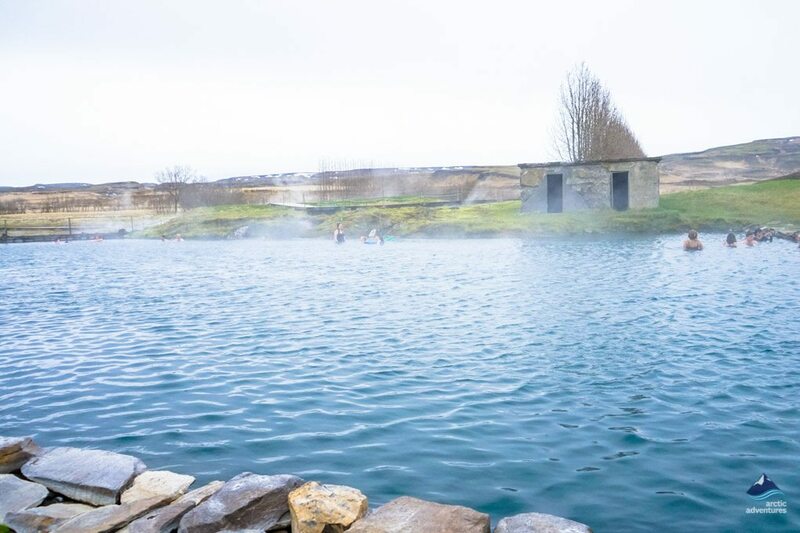 We stopped to pet some Icelandic horses en route, and had a luxurious soak in the Secret Lagoon. I had had some reservations about choosing this quaint lagoon over Blue Lagoon, but it far exceeded my expectations. Our group was small so the pool wasn't crowded. It was gloriously warm and had its own geyser that sent out a wave of extra heat each time it erupted. They had plastic wine glasses so you could enjoy a beverage, but the scenery was by far the best of all- the pool has a natural bottom of volcanic sand and gravel, and is surrounded by the winding hotspring sending up tendrils of steam in a magical cloud of fantasy all around you. There's a farm house on a hill, and horses grazing within view. There's even a geothermal greenhouse on site. Our guide (Zaho?) was very personable and his English was great. He was quick to take pictures or explain where we were going and where we were. The wifi in the tour van was A+, and the pricing was far more reasonable than a lot of other tour companies. We had other tours with another popular tour company, and Arctic Adventures was better in every way. Would definitely recommend them to anyone. My tour guide, Hawk, was incredible. He played Icelandic music and offered lots of knowledge about the countries history and landscape. The tour itself was amazing, the locations were so beautiful and wonderful to behold from the geysirs to Gullfoss. Definitely recommend this trip if you're traveling to Iceland. Was picked up right outside our hotel and pick up was on time in a small bus. I liked that this was a small bus! We went to the 3 stops at the Golden Circle tour and then were taken to the Lagoon. Our tour guide was fantastic, the lagoon was lovely after a long day of hiking. I would absolutely redo this tour again or recommend it to a friend. The transport was excellent with good wi fi facilities. The itinerary was good and our driver really made it an exceptional experience. She arrived at the pick up point on time and was very welcoming. We could hear and understand everything she said and she made herself available to talk to when we were not in the minibus. Being in a small group certainly was so much nicer than being on a large coach. We had the most marvellous time in Iceland and will definitely go back one day. The highlight though was the Arctic Adventures Golden Circle Tour. Our guide was charming, funny and very knowledgeable. She really made a great day out for us all. 10/10. The scenery was astounding and happily we had good weather even though we returned to Reykjavik in a snow storm! Many thanks and see you again soon. Hello, This isn’t really a review, but I wanted to say that I thought our tour guides were fantastic. The tour itself was fantastic as well. I did want to suggest sending an itinerary to before the trip though. We did not know where Where we were staying, where to get picked up, and what we would do on a daily basis. Getting an itinerary would remove a lot of the confusion.